Why Your Nonprofit Should Be on Flipboard! Note: Due to the hardships, our fellow countrymen are facing in Texas, we are curating a live Flipboard magazine to help fundraise for Hurricane Harvey. We are featuring organizations that are helping the relief efforts. As they browse the magazine, donors can pick their favorite charity to help victims. Here’s how we’re using Flipboard to assist with a present-day natural disaster. What makes your nonprofit stand out from all the others? How do you tell your story and get it to the right audience? Enter Flipboard — the dynamic, versatile app that can also help your charitable foundation. It’s an interactive digital magazine that aggregates content and can be shared with a link. Most people you meet take part in a charitable organization that they are passionate about, whether it’s a religious institution, a cause, the environment, politics, or health. There is always a compassionate reason to give back to the community. Tawanna Browne Smith and myself – Janette Speyer host a series of business-oriented Flipboard TweetChats called #FlipBizChat. This week’s #FlipBizChat at is dedicated to nonprofits who want to learn how to use Flipboard to market their cause. Marketing: Use Flipboard to promote your project or cause by creating nonprofit magazines. The platform allows you to collect blog articles, videos, images and success stories and put them into a Flipboard magazine to create an inspiring story. Here is an example by the Georgetown Institute for Women and Peace. 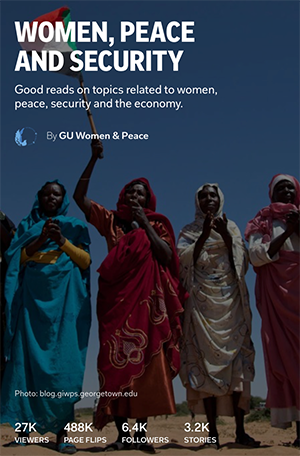 This profile draws attention to women’s causes and promotes peace. Mobilizing: During a disaster, take on-site pictures and use the compose tool to document an area needing attention. My daughter Alyse was helping during the great Nepal earthquake in 2015. 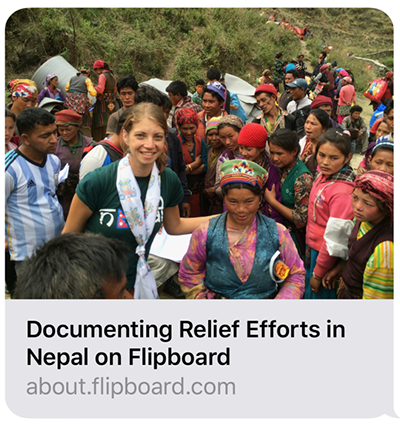 We used Flipboard to journal the disaster and to raise money for the needy in the area. Since this was an emergency and she needed money fast, images of fund expenditures helped build credibility. Fundraising: All nonprofits need to raise funds – it’s their lifeblood. A private or public Flipboard magazine can help you customize a proposal to donors by showcasing your efforts, and by educating and inspiring a community to give back. Here is an example by Rocky Mountain Institute. 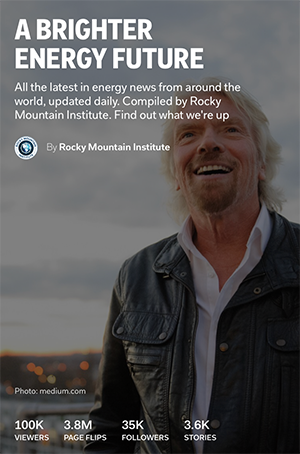 RMI is an organization that is transforming global energy use. They encourage you to visit their website in the Flipboard bio. Awareness: You can draw attention to your cause by creating magazines and sharing them via your social channels. Here is an example of a cause on Human Trafficking that is very important to me. Education: Use Flipboard to collect information on a charity — one that represents your corporate values and educations the readership. Today, a business is more than a money-making proposition. Many companies want to make the world a better place. 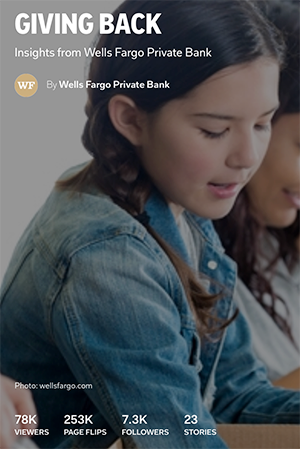 See how Wells Fargo gives back. Here is another example of a Flipboard account dedicated to education for a small NGO in Cambodia. Volunteer and Employment: Flipboard offers a private and personal method to manage volunteers and employees by organizing resumes, information, ideas and private groups. Here is an example by World Bank offering job possibilities for individuals of all walks of life all around the world. 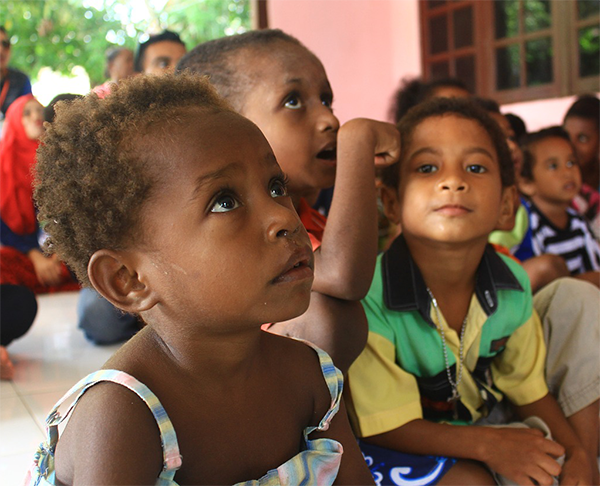 Accountability and Governance: All nonprofits and NGOs need accountability. Flipboard makes this task so easy by collecting all your information in one easily accessible magazine. Then simply share your magazine’s Flipboard link with anyone interested in the organization via email or social media. This is a valuable timesaver. It beats wading through a huge website to get the information you need. In Closing: Flipboard is fast becoming one of the best channels to get traffic to your website. One of the concerns many nonprofits have is that the message can get lost in social the clutter. As an early adopter, I usually recommend the path less traveled. Follow @JanetteSpeyer and @TawannaBSmith for inspiration.